Addressing a ceremony on peace on Monday, President Ashraf Ghani says that a grand assembly will be held in Kabul to consult on peace. Ghani expressed that Afghans from all walks life understand that Afghanistan’s national interests and will not compromise on it, adding that “no need for diverse views in a united country”, because Afghanistan is the land of Jirgas and consultations. The president informed that the government has already started their work on post-peace future of Afghanistan and that the blueprint or roadmap is designed to change Afghanistan into a prosperous and secure country. “We praise the European Union for its long-term partnership with Afghanistan on issues such as peace,” he said. President Ghani also assured that he knows that the nation deserves and wants transparent presidential elections and he remarked that the election commissions have failed to determine the will of the nation for a transparent electoral process. This comes as Ghani confirmed that the election law will be amended and there is a national consensus on such reforms. On Monday, the election commission also responded to the electoral reform amendment proposal by saying that the government is “manipulating” the process. Ghani further spoke that he “will never interfere in elections” and that those who interferes in the process will be taken accountable. Talking about the hardworking forces of Afghanistan, President Ghani said that the Afghan forces have taken over Daesh militants in Nangarhar and that it’s a great achievement. He expressed his pride in the high morale of the Afghan forces. He expressed that the issue of prisoners is a human issue. “I ordered the assessment of prisoners cases just days after I started my job. It should be carried out in a systematic way to attain confidence of the public,” he said. For a dignified peace, President Ghani suggested that there is a necessity to remove the gap between the people and government. 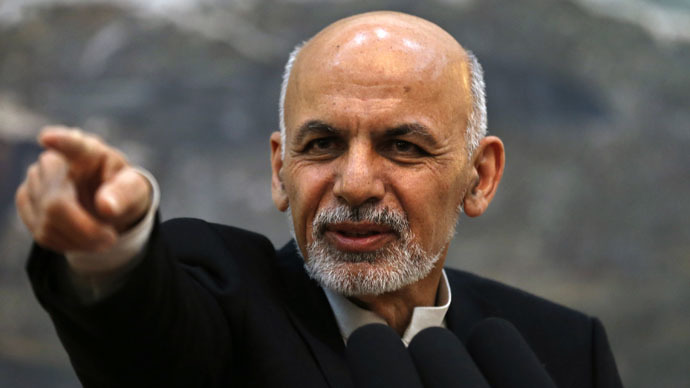 Further remarking on the possibility of an interim government, Ghani said “There is no logic to defy the Constitution of Afghanistan and dissolve the government. The proposal for an interim government is rejected in our perception.” This comes as many politicians of Afghanistan who had a talk with Taliban representatives in Moscow last week, expressed their readiness in the idea of an interim government.